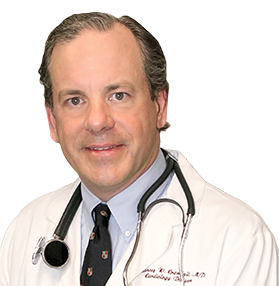 Each month Dr. Crandall’s Heart Health Report contains effective strategies for fighting heart disease. These are the same strategies that Dr. Crandall uses with his own patients — and himself. This is just a fraction of the potentially life-saving information you’ll receive in Dr. Crandall’s Heart Health Report. With no family history of heart disease, and without warning, at age 48 Dr. Crandall had a massive heart attack. To save his life, doctors performed emergency surgery and placed two stents in his heart. Like many of you, Dr. Crandall knows the stresses of fighting heart disease. He also knows the secrets to reversing it. And the enormous relief of living a life without this debilitating disease. Dr. Crandall’s Heart Health Report is loaded cover-to-cover with the strategies he used to heal his own heart and the hearts of countless patients. 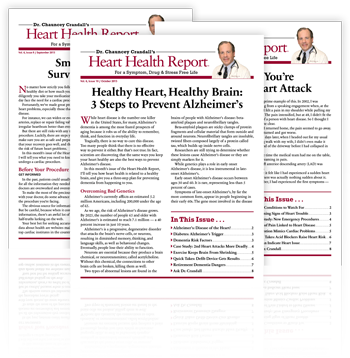 No matter if you’ve just been diagnosed with heart disease, have been battling it for years, or just want to prevent it, you’ll discover every issue of Dr. Crandall’s Heart Health Report to be an outstanding source of real-world strategies to help you live symptom free, drug free, and stress free.